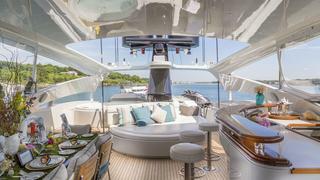 At 123 feet (37.49m), luxury superyacht TEMPTATION is well known for luxurious cruising in the waters of Florida and The Bahamas. 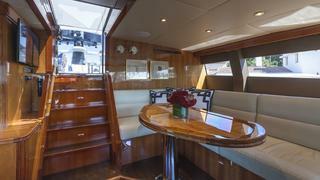 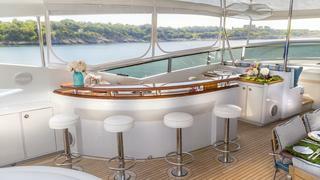 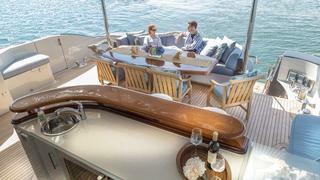 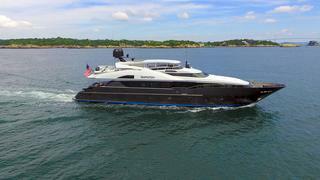 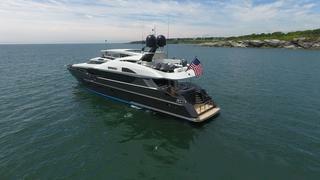 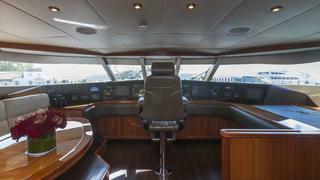 A part of the Palmer Johnson 123 Fly Series, TEMPTATION has a sleek interior and exterior designed by Nuvolari & Lenard. 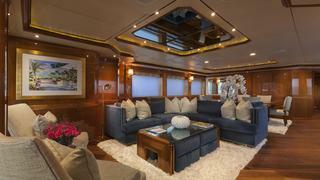 She is one of the most stylish yachts of her size. 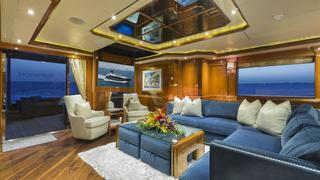 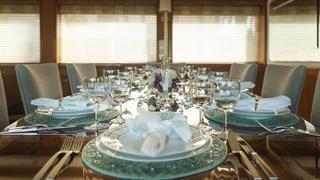 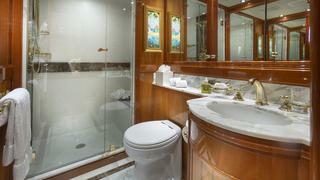 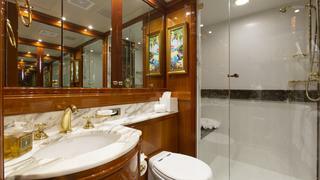 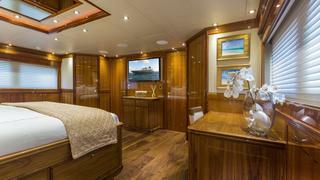 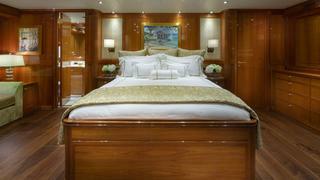 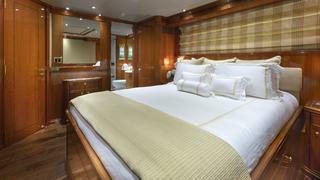 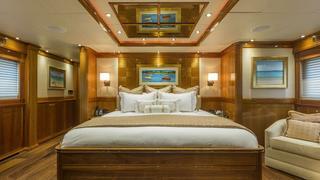 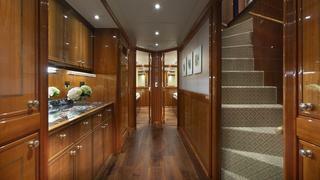 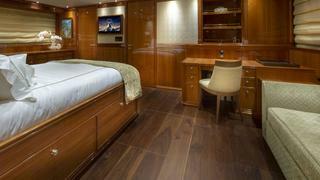 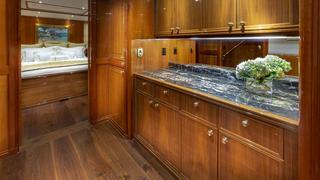 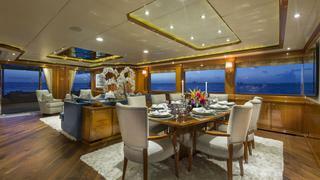 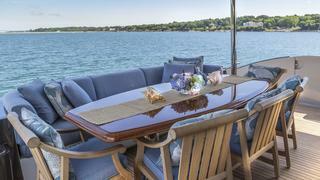 She accommodates up to eight guests in her main-deck master suite and full-width VIP, among other staterooms. 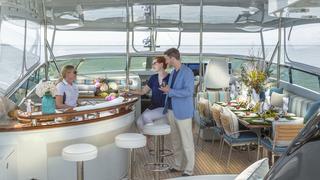 TEMPTATION has timeless furnishings and seating areas throughout for comfort and elegance. 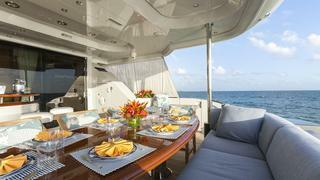 TEMPTATION’s outdoor spaces are as resplendent as her interior. 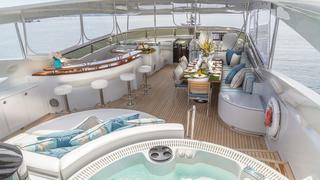 Relax in TEMPTATION’s beautiful Jacuzzi, which is located on her sundeck and affords you incredible panoramic views. 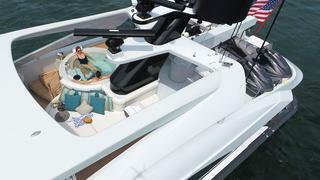 TEMPTATION features a fully stocked onboard toy chest filled with paddleboards, wakeboards and two Yamaha 11000 deluxe WaveRunners for guests to enjoy. 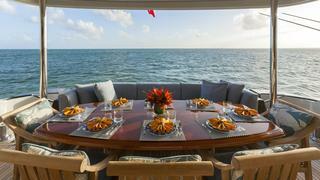 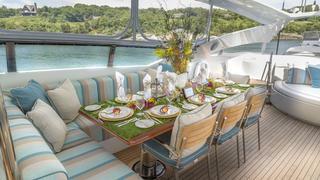 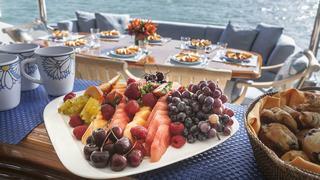 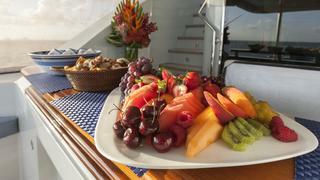 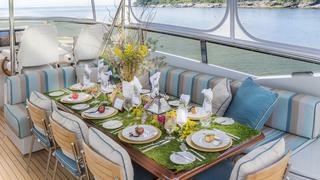 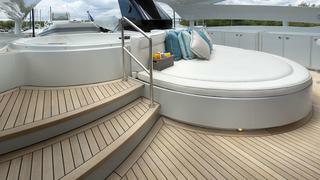 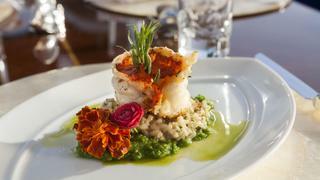 TEMPTATION is an ideal luxury charter yacht for families and groups of friends.